Allan Mackenzie, UK Group Product Manager, was delighted to visit our parent company Techcomp Instruments Ltd, group manufacturing facility in Shanghai at the end of February to introduce the China Sales and Service team to the latest products manufactured in the UK by sister company, Edinburgh Instruments Ltd. 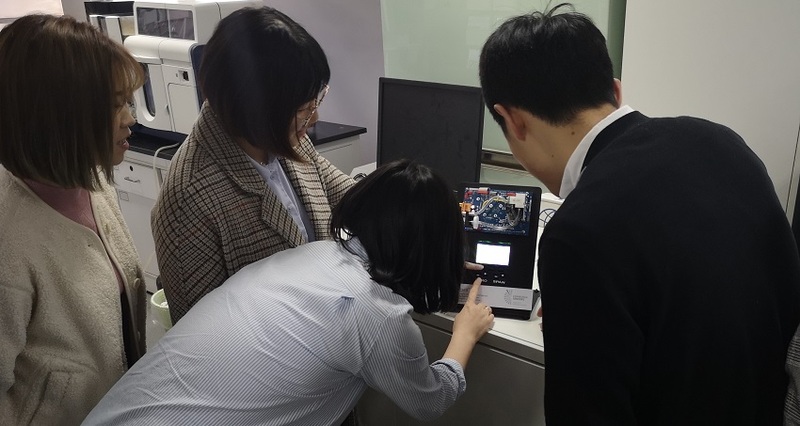 In addition to the overview of the new absorbance range of spectrophotometers to the Edinburgh Instruments range, the Group was also introduced to Edinburgh Sensors range of gas detection products which are sold globally via a network of distributors and OEM customers. This was a whole new product line for the team to become acquainted with and the CO2 gascard proved of interest when used for hands-on training and a Q&A session.